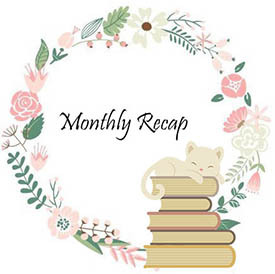 I'm so sorry for this very late Monthly Recap. If you have been following my Sunday Post updates, you know that I got sick, my laptop "died", then I had to get a new one and recover a week of not working for my thesis. Also, currently, life has been chaotic. There is so much to do, and so little time! In October I only read four books - See? Chaotic life! My favourite reading of the month was Hunted. This book is pure perfection. I can't believe I put this book aside for so long because I read a review on Goodreads written by someone that I trust, saying that there was a love triangle. THERE IS NO LOVE TRIANGLE IN THIS BOOK! This was a good month for my bank account. Which books did you get in October? Random & Randomness, as the name indicates, is about random bookish stuff. Inspired by a few blogs, I decided to create this little space where I share some bookish love. How Long Would it Take to Read Every Book in the World? Once upon a time, poor naive me thought that she would read every book in the world. Well, after reading this article and taking a look at the statistics, it's good to say that it will never happened. I have so many books on my shelf that I have been putting off because trusted reviewers have said some negative things, but I think I might revisit them and judge for myself. Enjoy all your new books! I've put too many books aside because of negative things reviewers I trust wrote and now I think I shouldn't have done that. Reviews are still very helpful, but I think I'll judge more for myself from now on. Thank you. Good to hear that you enjoyed HUNTED and that there is no love triangle. Yeay!